Kim has conducted a variety of trainings in dispute resolution processes for nearly four decades. She created and led the first forty hour mediation training in Texas in 1980, and has been training mediators ever since. 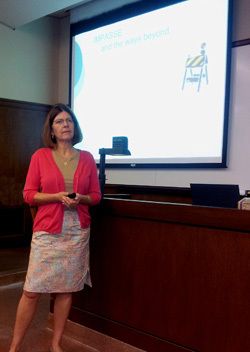 A highly experienced instructor, Professor Kovach has taught a variety of dispute resolution courses in legal education for nearly twenty-five years. 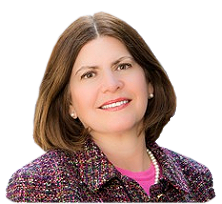 She also regularly conducts trainings and workshops on specialized dispute resolution topics including advanced mediation approaches, ethical issues and negotiation.
" We were taught by the best. The program is fast paced, thorough, fun, interesting." "Hands on instruction was unique and great." "Best training ever!" "Excellent. I love Kim's interactive style."